The CCC list is a wonderful resource for Dividend Growth Investors. Created by the late Dave Fish and now maintained by Justin Law, The CCC list contains nearly 900 stocks trading on U.S. exchanges with the distinction of having paid higher dividends for at least 5 consecutive years. 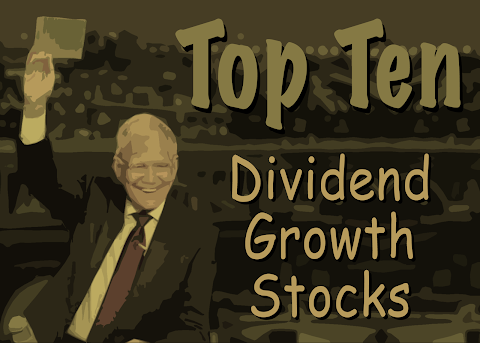 With my monthly 10 Dividend Growth Stocks series, I rank a subset of stocks from the CCC list and present the 10 top-ranked stocks for further research. Last month I noted that my ranking system does a poor job of ranking REITs relative to other stocks. I decided to rework my ranking system to address this shortcoming. Today I'm debuting my new ranking system. While it is still in development, I wanted to test it out on stocks in the Utilities Sector. The new ranking system is sector-focused. It ranks stocks relative to peers in the same sector, so I'm simply avoiding the problem with my previous ranking system. The new system has several advantages, including letter grades assigned to four quality factors (consistency, safety, health, and growth). Further, I no longer use valuation metrics to rank stocks. Rather, my ranking system attempts to identify top-quality dividend growth stocks regardless of valuation. As before, I'll provide fair value estimates of the top-ranked stocks to help readers identify potential candidates for further research. As mentioned, the new ranking system is still in development. So this month's article focuses exclusively on stocks in the Utilities sector. To read about the new ranking system and to see the top 10 ranked Utilites sector stocks for October 2018, please read this article at Seeking Alpha. please subscribe to receive an e-mail message whenever I post a new article.